Everything you need to know when preparing to drive in Europe. Watch out for speed limits and make sure you have all the right items in your car. Top tip: if you carry two breathalysers you can be sure you’ll have an unused one to show police even if you have to use one. Any gadgets with a screen that could distract the driver (except Sat Navs) must be positioned somewhere where the driver cannot see them. There’s also a fine of €200 for using earpieces, headphones or headsets while driving,⁷ so make sure you don’t listen to music on headphones – even wireless ones, or use any kind of handsfree phone system with a headset. Get a free European Health Insurance Card before you travel; this gives you reduced-price or free access to state-provided healthcare service in all countries within the European Economic Area and Switzerland. 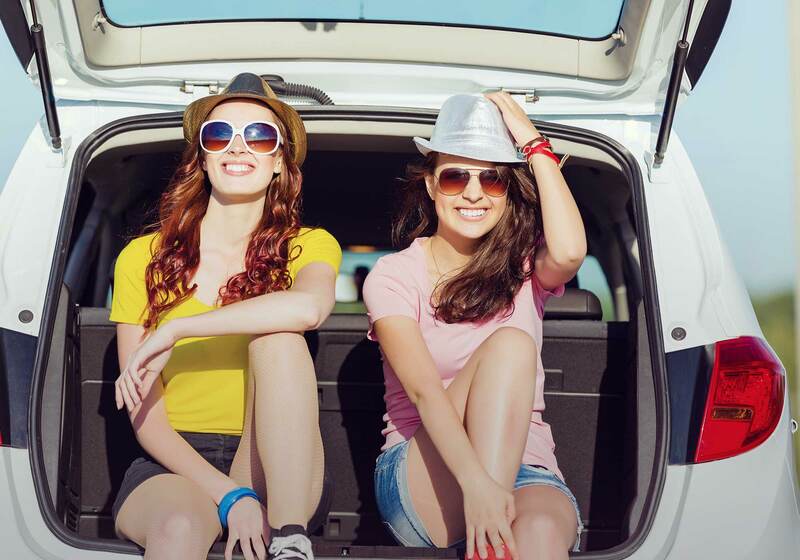 Check your breakdown cover; at drive like a girl we provide three different levels of breakdown cover as add-ons to your policy: make sure you choose National Cover Plus Doorstep & European if you’re going to be driving in Europe. Get to know the kilometre speed limits and their equivalents in mph. Also watch out for local speed limits, which may be lower or higher than the UK versions. All UK insurance policies will automatically provide the minimum cover needed to drive within the EU – this is known as third party liability cover. A Green Card proves that you are eligible to drive within the EU. You do not need to have this with you but it may be worth taking so that you can easily prove you have the necessary cover if stopped by the police. Your Certificate of Motor Insurance may be sufficient for this (in place of a Green Card) so please check with your insurer. You may also want to take a European Accident Statement report form with you. This helps you and the third party record all the details of any accident you might have, even if you can’t speak the local language. You can download one of these in most European languages here. Are you insured with drive like a girl? Your policy provides the minimum compulsory insurance for driving in the EU. Your Certificate of Motor Insurance serves as proof of this (you don’t need a Green Card) so please print it and take it with you if you’re driving within the EU.